Many of us would be struggling to select best performing mutual funds for investment. There are hundreds of mutual funds available in the market and picking up the right mutual fund is the key for the success of the investment. Below are the 6 tips which you can consider before selecting top performing mutual funds for investment. 1) Performance of the mutual fund: The primary key in picking up the right mutual fund is looking at the performance of the mutual fund in the last 3 to 5 years. The benchmark is SENSEX or NIFTY. a. If the mutual fund has given higher returns compared to benchmark, it is over performed. For e.g, if SENSEX/NIFTY has given a annualised return of 8% in the last 3 years which would be benchmark and the mutual fund returned 10% annualised returns, then the mutual fund is overperformed compared to benchmark. These are the top performing mutual funds which can be looked for investment. b. If it is in par with the benchmark, then it is neutral performance. You can watch such mutual funds before making any investment decision. c. If the performance is below the benchmark, it is underperformed the benchmark and we should stay away from such mutual funds. 2) Crisil ranking: Crisil, largest credit rating agency ranks the mutual funds based on the financials, company performance, past performance etc. The rank starts from Rank-1 to Rank-5. Choosing Rank-1, Rank-2 and Rank-3 mutual funds are good for mutual funds investment. 3) AUM: AUM (assets under management) of a mutual fund is the investments made by investors in such mutual funds schemes. The higher the AUM refers that investors has confidence and invested in such mutual fund schemes. Anything < Rs 100 Crores AUM, can be avoided as they are small or new entrants in the mutual fund industry where they have not gained enough confidence from the investors to invest. 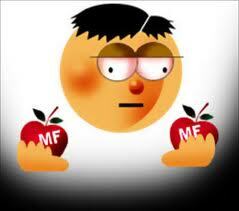 4) Objectives of the mutual funds: One more key factor to consider is the objective of the mutual fund. If the objective of the mutual fund is to provide long term investment growth, then investing in such mutual funds for short term would not yield any good returns. These mutual funds would be top performing among the other mutual funds in the long run. 5) Selecting the right mutual fund category: There are several mutual fund categories for investment. a. Diversified mutual funds: These mutual funds invest the money in stock markets across all sectors (Banking, financial services, manufacturing, FMCG, IT, telecom etc.). The performance of such mutual funds depends on how the underlying stocks perform. All diversified mutual funds may not perform in the same level, as it depends on the stocks selected by the mutual funds and the time of selection of such stocks. Investment in such diversified mutual funds would provide good returns for medium to long term. b. Sector based mutual funds: There are various mutual fund schemes which invest in single specific sectors. The specific sectors can be FMCG, Technology, Banking and financial services, Pharma etc., We have observed FMCG and Pharma sector based mutual funds have over performed in the last 3 to 5 years compared to diversified mutual funds or other sector based mutual funds. We feel that FMCG and Pharma sector based mutual funds would continue to do better and would be the best performing mutual funds. c. Balanced mutual funds: The balanced mutual funds invest 70% to 90% in fixed income securities and only 10% to 30% in equity market thereby reducing the risk of investment. The returns would be 10% to 15% per annum depending on the performance of the mutual fund. d. Debt mutual funds: These debt mutual funds invest majority in debt related instruments like debentures, bonds and other govt. securities. The returns are generally in the range of 8% to 12% per annum. 6) Exit load and expenses charged: The final parameter to be looked is the exit load charges by the mutual funds (amount charged if an investor exits the mutual funds before a specific period of time) and the expenses charged by mutual funds (management and operational related expenses would be charged and would be reduced from the NAV (Net asset value)). Most of the mutual funds charge 1% exit load if you exit before 1 year. Also choose a mutual fund which charges less expenses compared to other mutual funds. Conclusion: Mutual funds are best investment options for medium (3 to 5 years) and long term period (5 to 10 years and above). The above list may not be comprehensive, but they are the major parameters to be looked in by investor before selecting the mutual fund for investment. Selecting the right mutual fund based on the performance, objectives of the mutual fund, CRISIL rating etc, would help investor in choosing best performing mutual funds for investment. Happy investing in best performing mutual funds !! !